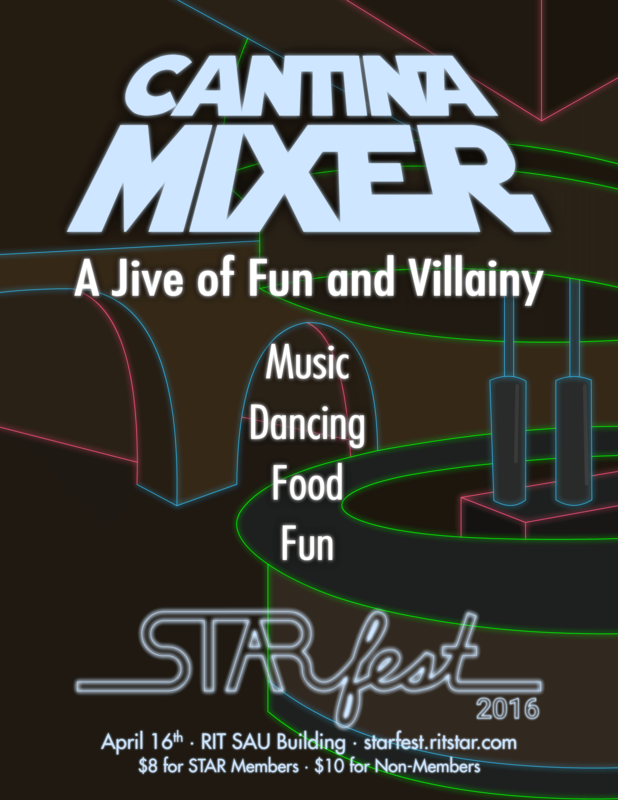 When planning STARfest 2015, the subcommittees in charge of planning digital media, posters, and decorations did not always communicate, and the result was a variety of different designs. 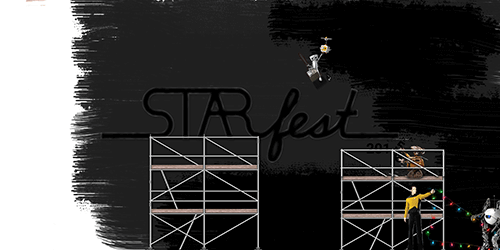 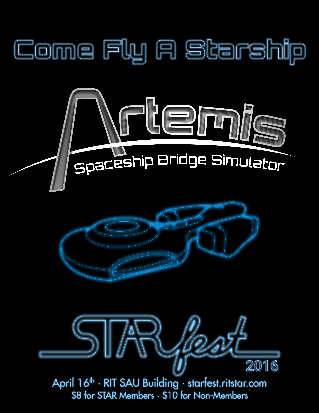 Learning from that mistake, I made it a one of my top goals to unify STARfest 2016 media under a consistent aesthetic. For 2016, I put forth the suggestion of a neon motif inspired by Tron light cycles and Star Wars lightsabers, and that motif was expressed throughout our various PR media, but as with the STAR logo, I designed the STARfest logo to be flexible enough to work with a variety of other themes in future years. 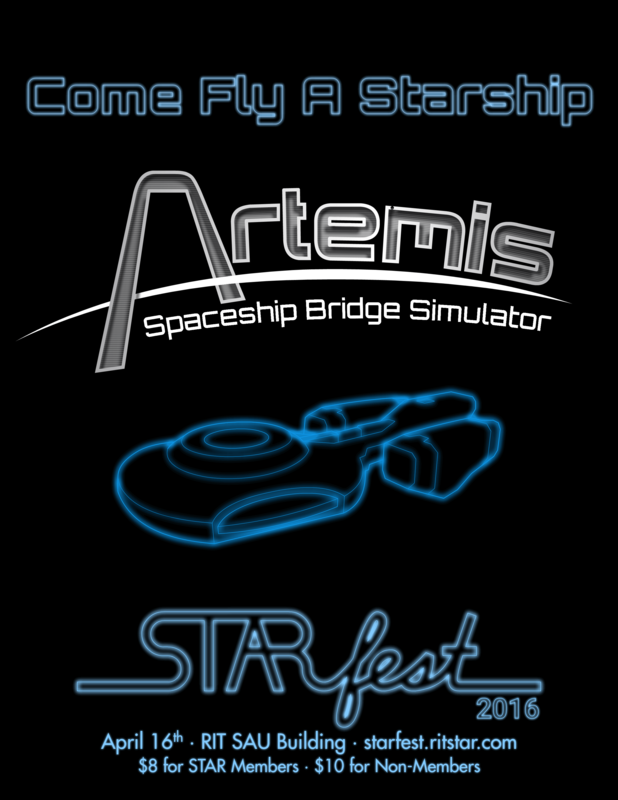 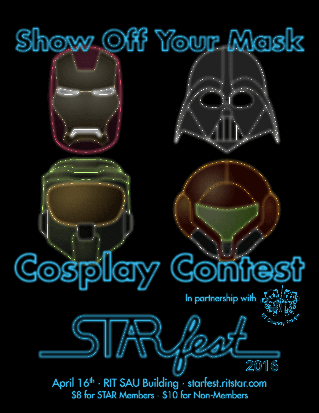 Additionally, in response to feedback from the RIT community that STARfest 2015's PR materials did not adequately convey what STARfest included, I designed posters advertising specific events occurring at STARfest in addition to ones that advertised the con in general. 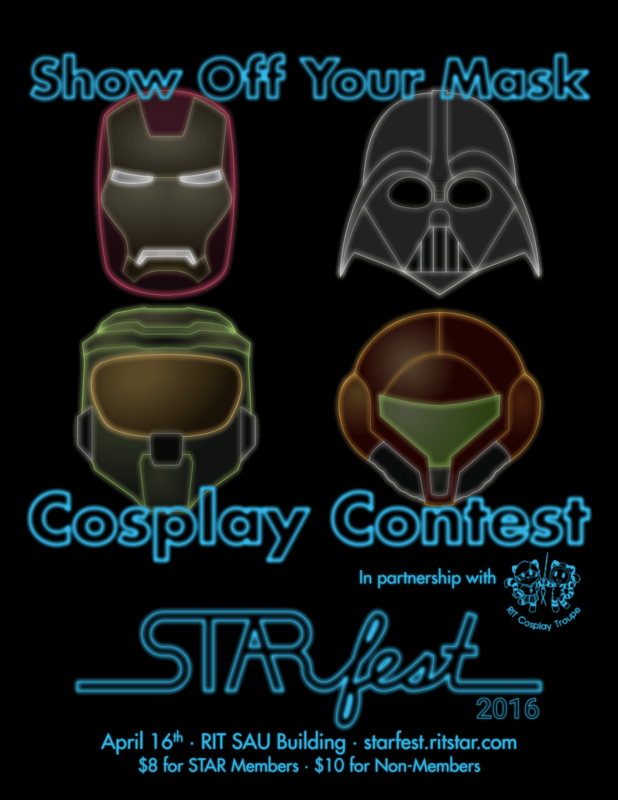 As PR coordinator for STARfest 2016, I sought to ensure the word was spread outside RIT, both through physical posters hung in public posting spaces in the area, and by establishing an online presence for STARfest. 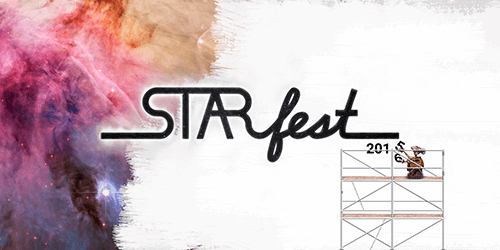 Initially, before the PR subcommittee was officially formed, the committee agreed to let me create the STARfest social media pages and run a small series of photos illustrating the transition from STARfest 2015 to 2016 to fit with the New Year's spirit and start gathering interest through charming references other sci-fi fans would enjoy. 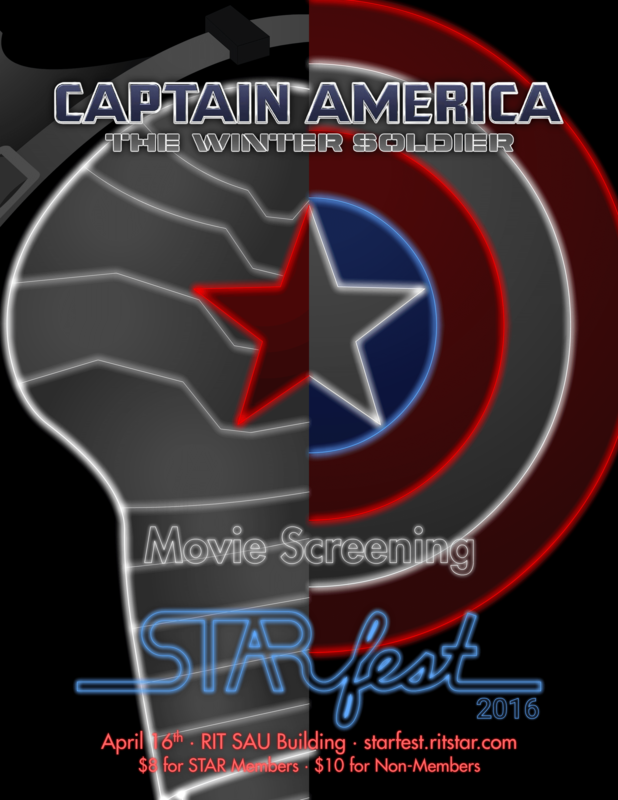 In February, I was elected the official PR coordinator. 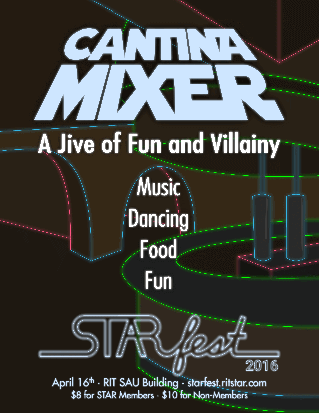 I had a schedule of planned social media content ready to go, to ensure our social streams remained active. 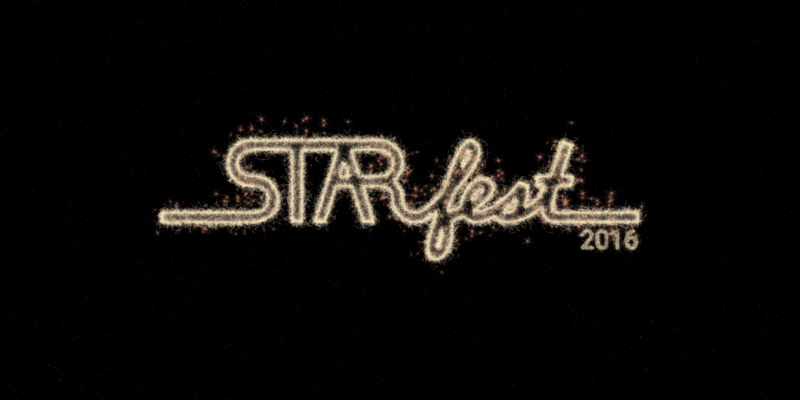 I also created the official website for STARfest, and throughout the following months, I continued to monitor analytics on all STARfest's online pages and make improvements based on the data I saw. 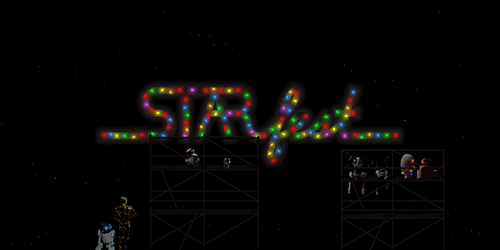 Our Facebook and Twitter profiles each broke 50 followers in the early months, and our website reached the top of search results for “rit starfest” and other relevant queries. 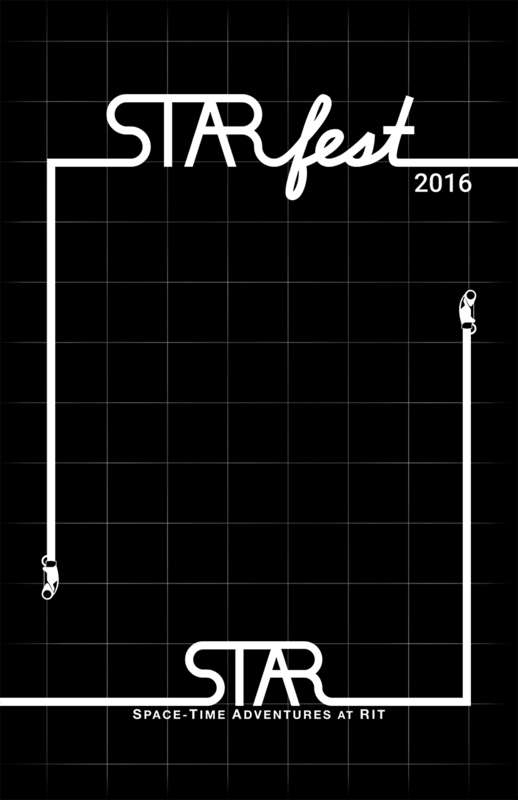 In the end, STARfest 2016 brought in more than twice the attendance of the previous year.